At its recent developer conference, Samsung teased several new notch styles that it is working on for future devices. 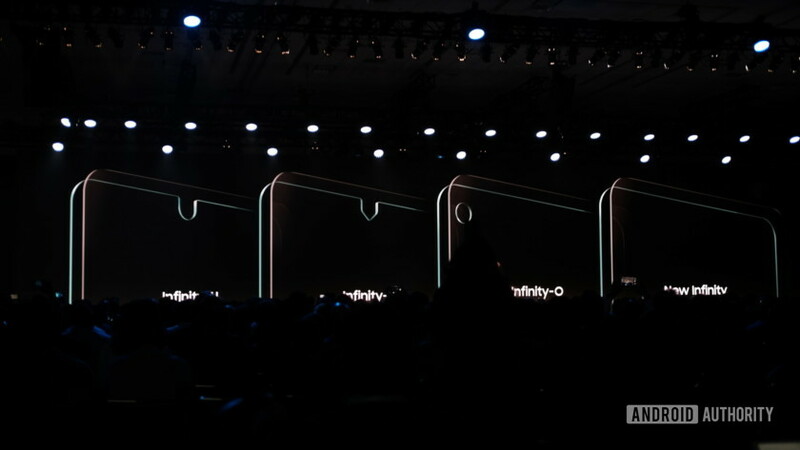 A slide presented during the keynote showed silhouettes of four phones with the new screens, labeled Infinity-U, Infinity-V, Infinity-O, and New Infinity. Thanks to a new leak, we may now have our first real look at an Infinite-O display cover glass. As the name implies, there is simply a circular hole in the upper left of the screen for a selfie camera. The screen cover glass (though we may also be looking at a screen protector) has curved sides and rounded bezels that are characteristic of the Galaxy line. Chinese leaker Ice Universe, a reputable source for Android information, predicts that the screen will be used on the upcoming Galaxy A8s. As for the release date, Ice Universe speculates that it could be as early as December, in order to counter Huawei’s first “hole-screen” device, which Ice Universe pegs for release by the end of the year. Huawei will release the world’s first hole-screen mobile phone before the Samsung Galaxy A8s, which will be released in December, but the A8s may also be released in December, so who will start, it will wait and see. The touchscreen is arguably the most crucial feature of any phone. It’s the part we look at the most, the primary input method, and also the most delicate component. Before the notch trend took off, manufacturers typically made their displays stand out by their quality alone, ratcheting up metrics such as resolution, brightness, and contrast. Now that the notch has become ubiquitous, Samsung is working on ways to make its own take on the notch stand out from the rest. This comes as no surprise as the company is on the forefront of screen technology advancements, including the vaunted Infinity Flex foldable panel. In related news that landed today, rumors out of Korea suggest Samsung has begun production of Infinity-O display panels, possibly for one of the Galaxy S10 variants. As for other details for the Galaxy A8s, AllAboutSamsung reported that the phone will feature a 6.39-inch Infinity-O display with Full HD+ resolution, Snapdragon 710 processor, 6GB of RAM, 128GB of storage, and a 3,400mAh battery. The Galaxy A8s might also run Android 9 Pie out of the box and feature a triple rear camera setup around back that consists of 24-, 10-, and 5-megapixel cameras. Around front is reportedly a 24MP camera.